“We will look at Iran with a cold eye on where and when we may need to operate in the same space and toward what is potentially the same goal of countering the ISIL. “We're flying a great deal [of] manned and unmanned ... intelligence and reconnaissance assets, and we're building a picture so that if the decision were made to support the Iraqi security forces as they confront [ISIL], we could do so," Dempsey added. He nonetheless expressed concern that the U.S. not operating in a way as “taking one side or another,” referring to Shia and Sunni adversaries. 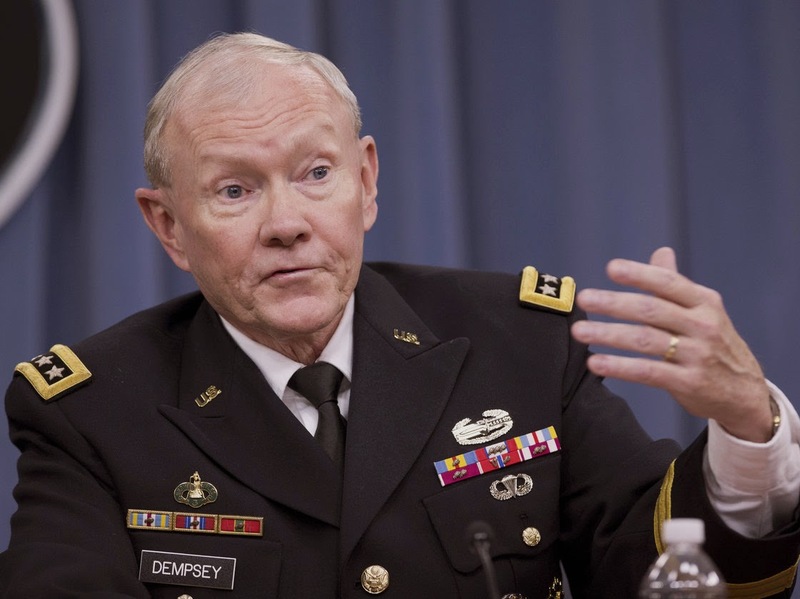 “Then ... with Iraq, if it chooses to establish this national unity government," he said, "we will be deliberating on how to push back [ISIL] and take steps to lead to its eventual defeat.” Dempsey said.